Previously we mentioned about PDFArea Image to PDF Converter that can convert any image files to pdf format but if you are looking for a tool that can extract images from pdf file, here is a solution for you. Some PDF Image Extract is a tool that can let you extract images from pdf files and store them into various image formats such as TIFF, JPEG, BMP, GIF, PNG, TGA, PBM and PPM. Go to File -> Open File to load the PDF file. 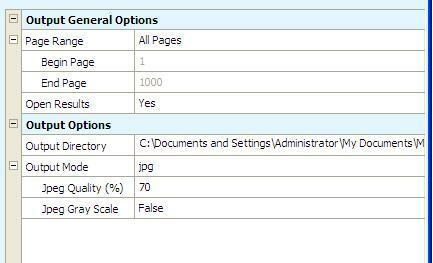 Alternatively, you can click open file icon and browse for the PDF file as shown at below picture. On the left panel, choose the output option which is best suited you. Output directory is where all the images will be extracted and stored into. You can define image file format such as TIFF, JPEG, BMP, GIF, PNG, TGA, PBM, PPM, as well as the image quality and gray scale. 3) Click on Start Convert button to start extracting images from the respective PDF file. 4) Once completed, you can find all the images in the directory that you have defined in step 2). Some PDF Image Extract is compatible to run on Windows NT/2000/XP/2003/Vista platform. It just consumes around 1.68MB of your hard disk space and just click here to download Some PDF Image Extract v1.5 at no charge.